Future Farmers are important to the Future of Food. The number of farmers has been steadily falling and the average age of farmers has been steadily rising since the 1970s. Currently, over 25 million acres of farm land has been lost to development and the average age of farmers is 57. To help increase the number of farmers for the future and bring attention to the changes happening in farming culture there are now a growing number of future farmer trainings happening across the U.S.
At Sweetwater, each season we welcome new apprentices and interns to our farm. Apprentices and interns learn hands-on how their food is grown from the beginning of the season through the end. 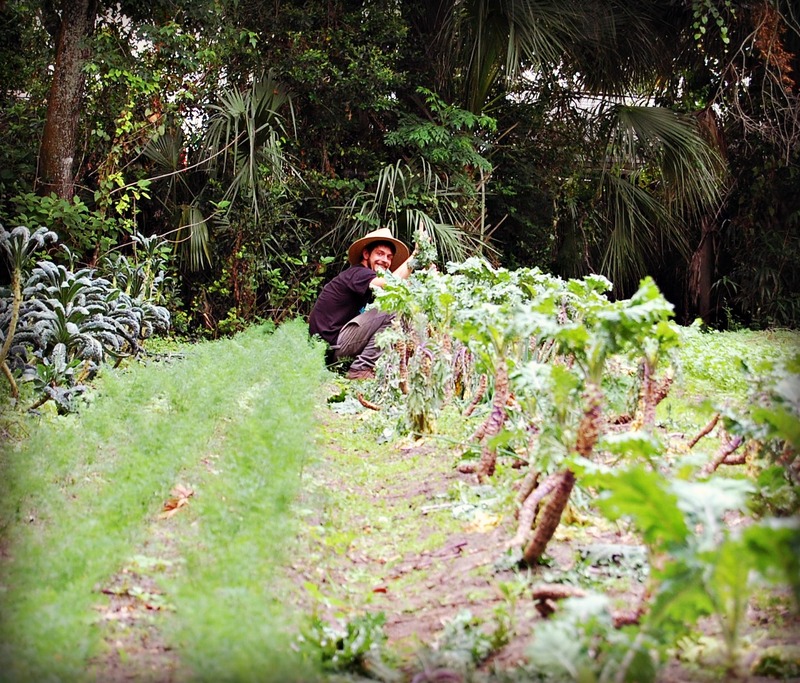 Individuals who participate in these programs learn the basic skills needed to farm organically in Florida by working in the fields with our farm crew. Many farm apprentices and interns have gone on to continue farming around the country, starting their own farms, advocating for organic agriculture, growing their own gardens at home and being local foods supporters. Michi, an Intern from the 2013-2014 season, made a website based on her internship and what she learned at the farm. To see if we have any available apprentice or intern positions please check here.